I was searching for a good disk defragmenter that would also defragment the Swap File. I discovered Defraggler and just had to write about this wonderful little tool! Despite the daft name this is really an excellent tool that the everyday home computer user can make use of. I have lots of large video files on my computer as I video peoples weddings in my spare time. Defraggler enables me to move these large files to the 'end' of my hard drive. This way my computer works a little faster. I don't know why it works faster but it does. I have experienced it for myself! It also doesn't take up too much space. The download file is only about 3.5MB in size. Quite small by today's standards. 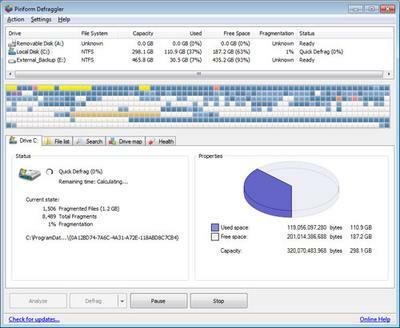 I like the fact that there is a visual on how fragmented your hard drive is. It sorts of makes sense to me when I can see it for myself. You can watch the defragmentation process in real time which is reassuring for me. After the defragmentation process is complete my computer is definitely faster. I also like to schedule the defragmentation process using this tool. 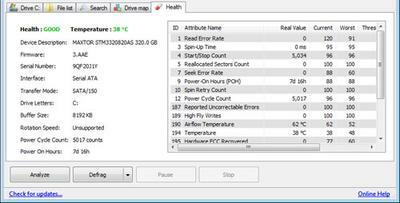 It is easy to do and I have piece of mind that my hard drive is being maintained. Thank you Robin for writing your own web page. I am aware work colleagues swear by Defraggler. However, it is a tool I was unfamiliar with... until now! After conducting my own review I agree with every word. Defraggler is an excellent tool for putting your hard drive into logical order, improving boot time and overall performance. The visual presentation is clear and easy to follow. It reminds me of Disk Defragmenter in Windows for Workgroups and Windows 95, and 98. I also like the fact that you can defragment the free space on your hard drive. As files are written and removed from your machine, the free space also becomes fragmented. Defragmenting the free disk space means your computer will be much more efficient when writing new files to the hard drive. It is like putting newly written pages of a book into numeric order. I also like the fact you can run Defraggler from a USB Pen. This is a handy option when you cannot get onto your hard drive properly. Join in and write your own page! It's easy to do. How? Simply click here to return to Windows XP Clean Install.